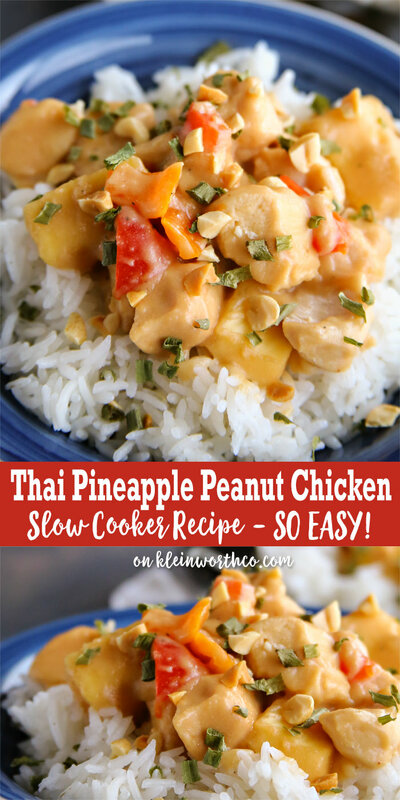 Slow Cooker Thai Pineapple Peanut Chicken is an easy family dinner idea you’ll make again & again. 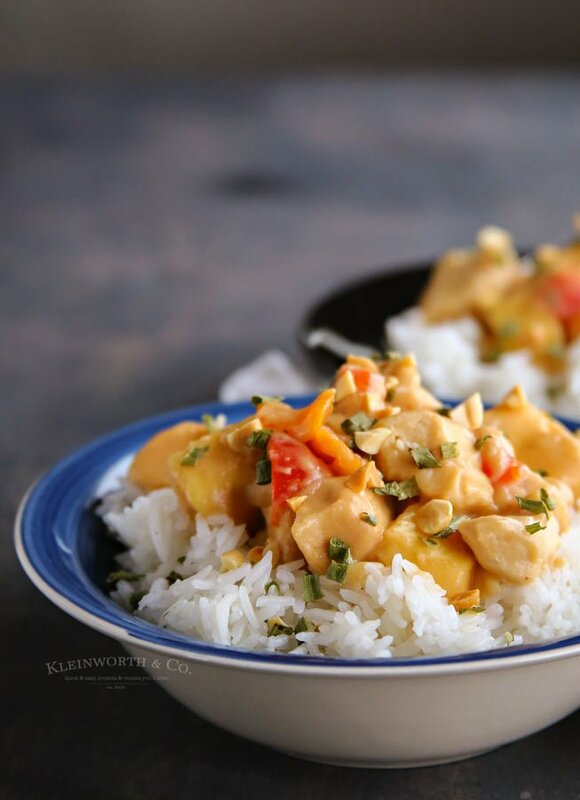 If you love Thai peanut butter sauce, this is a favorite! Who loves peanut butter? It’s a favorite in our house, but then again, you could probably figure that out if you are a regular reader here. Our love for peanut butter is the main reason I love participating in the monthly peanut butter bash challenge each month. Usually, we make some over the top sweets. But this month our mystery pairing is Ginger. I know that it seems like an odd pairing to put peanut butter & ginger together. But did you know that there are a lot of Asian dishes that combine the two quite often? 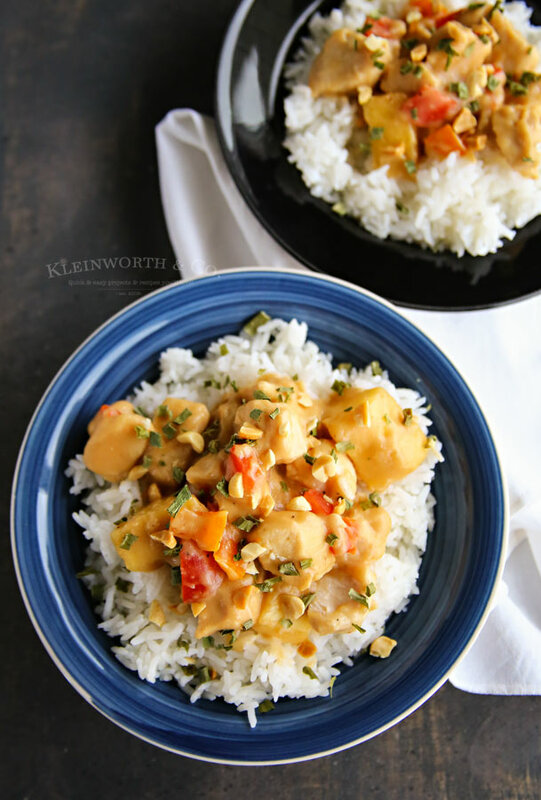 Many of our favorite dinner dishes use this pairing & it’s oh so delicious, like this Slow Cooker Thai Pineapple Peanut Chicken. 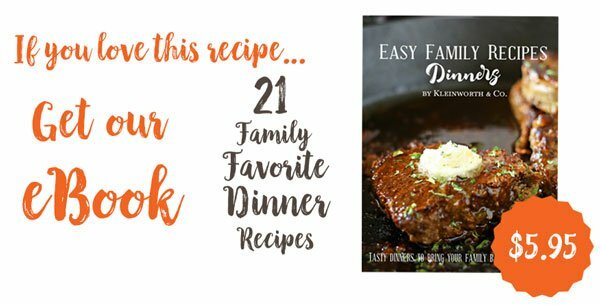 This slow cooker recipe has a few more steps than my usual “dump & go” recipes I gravitate towards. But I promise you it’s worth it, especially when we are talking about the yumminess of peanut butter sauce. The sweetness of the pineapple & the peanut butter with the chicken is perfect. It’s sure nice to be able to make Thai cuisine whenever I want because it’s sure hard to find up here in North Idaho. Just look at how yummy that looks! 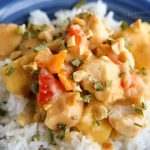 Slow Cooker Thai Pineapple Peanut Chicken is an easy family dinner idea you'll make again & again. 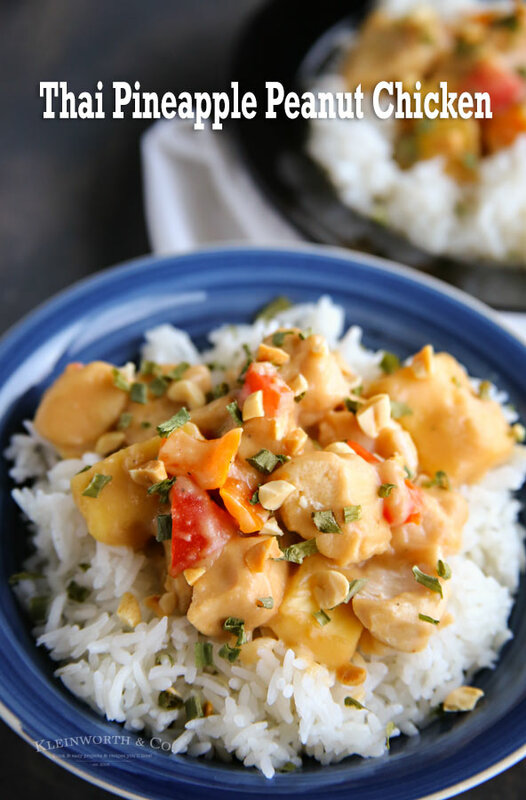 If you love Thai peanut butter sauce, this is a favorite! Drizzle olive oil over the bottom of the slow cooker. Add the chicken, 1/2 cup cornstarch (increasing as desired), salt, pepper to a large, gallon-sized ziptop plastic bag - seal bag & toss to coat chicken evenly. In a medium bowl, add the coconut milk, peanut butter, soy sauce, honey, rice wine vinegar, lime juice, sesame oil, ginger, garlic & whisk to combine. Cook covered on high for about 3 hours or on low for about 5 hours. 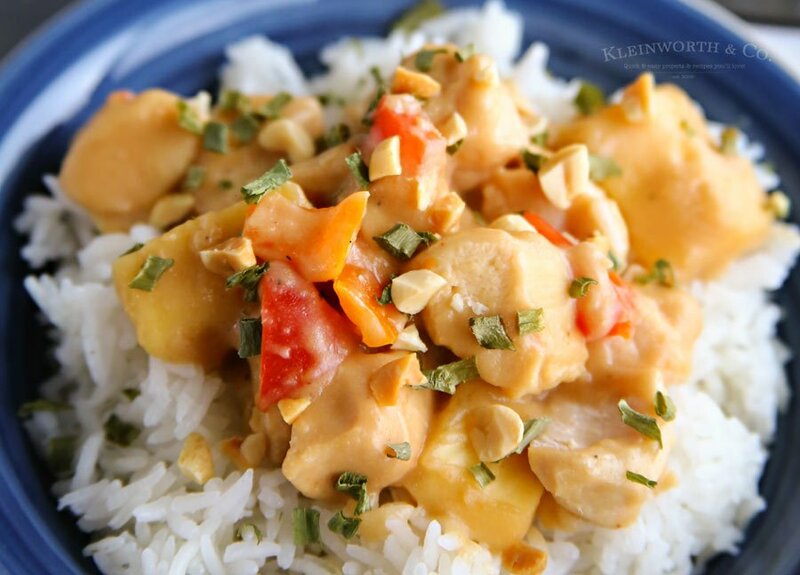 If you love Thai peanut butter sauce, this will surely be your new favorite dish. 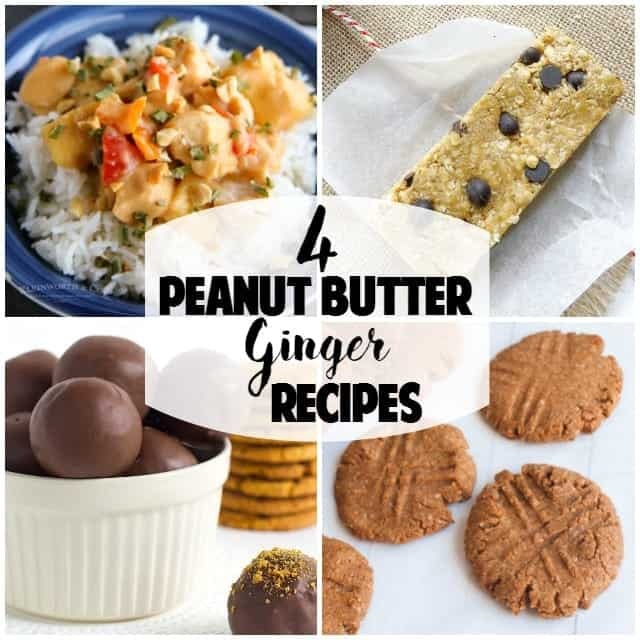 Join us in the peanut butter fun over at The Peanut Butter Recipe Box Facebook Group! We would love to see you there! 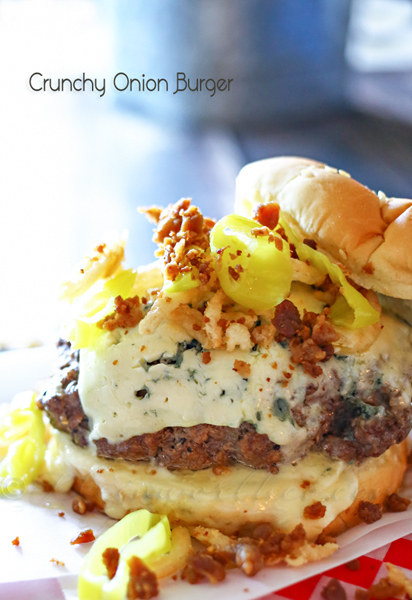 Check out the recipes we made while you’re at it! 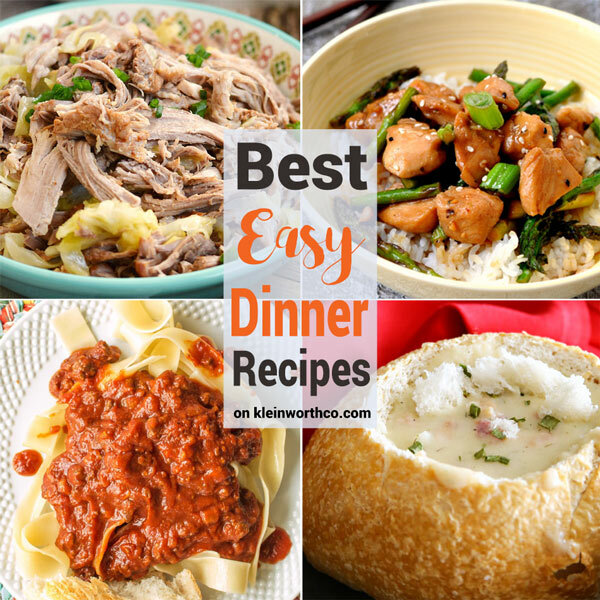 Looking for more great dinner ideas? Oh yum!! Must try this!!! ps come join Little Things Thursday! 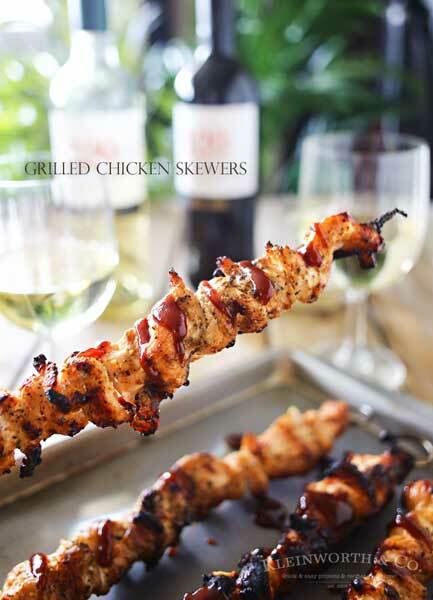 I’m so hungry now, everyone is posting food – Your dish looks fab! Is this canned coconut milk? Hi Melinda – we used the boxed kind like this one here http://amzn.to/2r16Nz3 I believe it’s the same as the can. Hope you have enjoyed your new Red Plate and your feature at Full Plate Thursday this week. We pinned your post to our features board and thanks so much for sharing it with us! The recipe says “1 cup cup cornstarch” – is 1 cup accurate? Or is there a typo? Hi Alison- I know it seems like a lot. We started with 1/2 cup & ended up increasing it based on how thick we wanted the sauce. You could start with 1/4 cup & increase as desired.